Great men are forged by the harsh climate of the Northern Lands, where strength means survival or death. 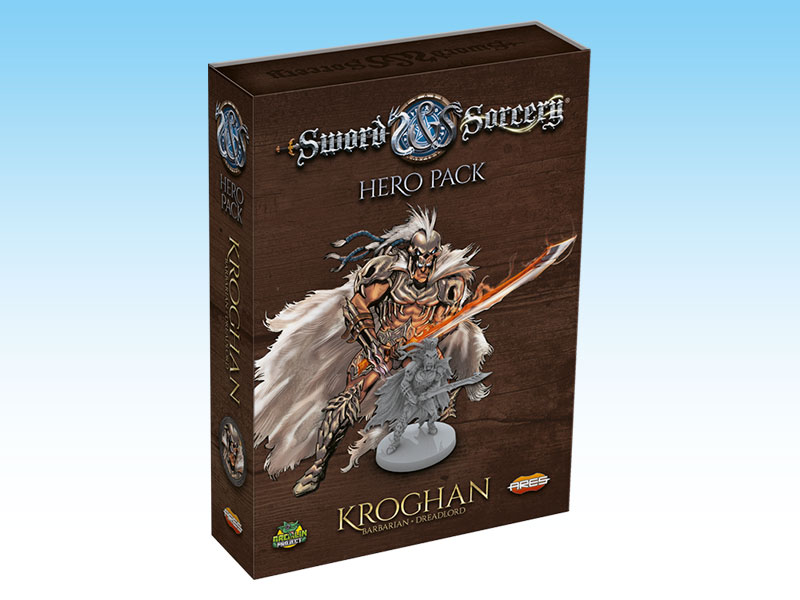 From these cold mountains, a powerful hero rises to crush evil foes... Kroghan, the fiercest warrior of his Clan! Kroghan can be played as either a Barbarian or a Dreadlord. As a Barbarian, Kroghan is an example of extreme courage, a champion who gathers heroes under his guidance and leads them into battle! As a Dreadlord, Kroghan is a cold-blooded and remorseless warrior, a dreadful champion - his enemies whisper his name in fear, and terror strikes their hearts when they meet him on the battlefield. This Hero Pack features two miniatures of Kroghan (normal and Ghost Soul form), his Soul Gem, and new cards - including legendary treasures such as the creepy Bone Armor, the versatile Snowtroll Tooth artifact, and the deadly Bloodstone!